We are Accent Home Inspection Solutions, certified by the National Association of Certified Home Inspectors (NACHI). As your North Idaho Certified Master Inspector and Home Inspection Professionals, we are here to serve your real estate buying, selling and investment needs before and after your report is finalized! Hiring a certified home inspector is smart, but hiring a certified Inspector that is also a licensed catastrophe adjuster and a private investigator is just efficient business. 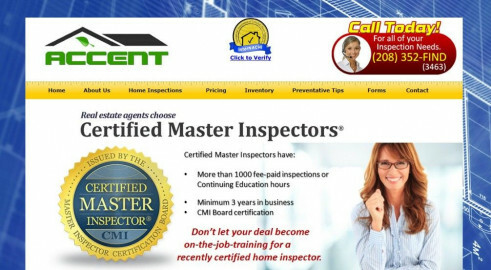 Our overly qualified inspectors are there to assist you to make sound, educated real estate decisions. We are here for you even after your purchase for help, support, solutions, and advice.